“Oil pulling” or “OP” is an alternative healing therapy developed by Dr. F. Karach, M.D., where oil is swished in the mouth for 15-20 minutes 1-3 times per day for its oral and systemic health benefits. One of the greatest benefits of oil pulling is its ease and simplicity. You don’t need to buy any special products or equipment. The technique is not complicated. The costs are very low. Therefore, almost everyone should be able to do it easily. Teeth and gum problems, including toothache, loose teeth, bleeding gums, and yellow discoloration. If these claims sound exaggerated, he once told a conference of Ukrainian cancer specialists, not to believe him. Instead, he challenged them to each try the oil pulling process, before deciding anything. Dr. Karach cured his own 15-year-old challenge with arthritis and chronic blood disease through oil pulling. Dr. Karach recommends oil pulling only on an empty stomach (at least one hour after drinking any liquid or before eating any food). Therefore, for most people, oil pulling is easiest to do before breakfast. Start with one tablespoon of either sunflower or sesame oil. 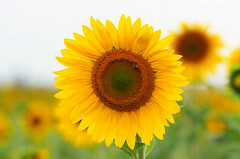 Cold-pressed sunflower or sesame oil is recommended, but normal refined sunflower or sesame oil (that is widely available at most markets and grocery stores) will also work in most cases. Put the tablespoon of oil into your mouth and swish it around, moving it slowly through your mouth and teeth for 15-20 minutes. Be sure to also move it toward the back of your mouth by tilting your head back. Do not gargle it in your throat. Do not swallow it. When completed, spit it out (into a toilet is best) and rinse your mouth thoroughly with normal tap water. If you spit it into a sink, the sink should be cleaned thoroughly because the “spittle” is loaded with bacteria and toxins. According to Dr. Karach, when viewed under a high-powered microscope, live organisms, microbes, and bacteria-embryos can be seen swimming in it. How lovely! Oil pulling mixes the oil with your saliva. The pulling/swishing activates enzymes in your mouth. Dr. Karach says that the enzymes then draw toxins out of the blood. As you continue pulling/swishing, the oil will become thin and white. If not, you have not pulled/swished it long enough. After you start oil pulling every day, what signs of improvement should you expect? Teeth become firm and whiter. Feel more refreshed and relaxed after waking up. Dark pouches under eyes disappear. Dr. Karach says that it can take anywhere from two days to one year to completely cure a disease or condition. However, the key to healing with oil pulling is to do it 1-3 times every day on an empty stomach. Disclaimer: This article is intended as educational information only and is not intended as a substitute for professional medical advice, diagnosis, or treatment. The author is not engaged in rendering medical or other professional services. If expert assistance is required, please seek the services of a competent professional. You are 100% responsible for what you do (or don’t do) with it.